As the world’s largest nonprofit dedicated to fighting blood cancers, The Leukemia & Lymphoma Society (LLS)’s impact is felt globally. We support the most outstanding scientists and physicians around the world through our robust research portfolio. Now in our 70th year, LLS has invested more than $1.2 billion in cancer research worldwide. To further our goal of saving and improving the lives of patients, we have teamed up with several international organizations to fund leading edge research today. 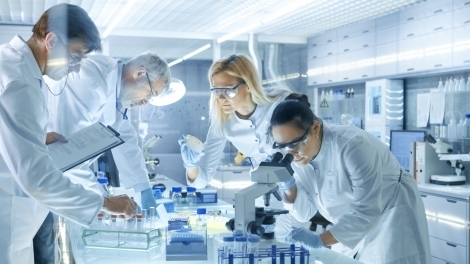 In one collaboration, LLS and the Rising Tide Foundation for Clinical Cancer Research, a Swiss organization focused on supporting cancer research and clinical trials, are co-funding seven grants in the UK, Israel, Canada and Australia. The collaboration supports four particularly groundbreaking research projects: four focused on immunotherapy and three centered on the use of genetic information to prevent early-stage diseases from developing into more serious types of blood cancers. This important work is also focused on identifying genetic mutations that can predict a patient’s risk of developing blood cancers later in life. One beneficiary of this collaboration is Liran Shlush, M.D., Ph.D., of Weizmann Institute of Science in Israel. His work is focused on identifying preleukemic stem cells in acute myeloid leukemia, one of the most pressing challenges in the blood cancers. His lab has developed a predictive model that can identify pre-AML cases years before diagnosis. His team is now working toward applying this knowledge to treat patients at the highest risk of developing AML. LLS is also entering a collaboration with Snowdome Foundation, an Australian organization whose mission is to accelerate new therapies for Australian blood cancer patients to help them live better, longer lives. LLS and Snowdome will co-fund grants to Australian researchers to advance breakthroughs in blood cancer treatment. The goal is to accelerate promising research from the lab to the clinic, so that new discoveries can help patients faster. The grants will be announced in July.